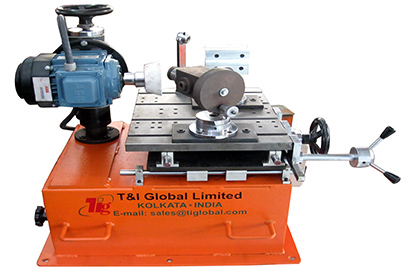 TIGL TOOL AND CUTTER GRINDER is an extremely versatile machine used to sharpen CTC Sharpening Tools. Separate Tool post & holder is provided for Milling Cutter, Chasing Tool and Diamond Dress independently. High accuracy, hard chrom plated longer life Linear Slides are used on the bed, saddle & across slide assembly. No wear and tear as in cast iron bed.